READ: Pre-Existing Injury: Can You Win Your Case? Below you will find a summary and the raw data of the March 2019 statistics for car accidents that occurred in Hallandale Beach, Florida. The raw data includes the location of each accident and the number of injuries. This information has been compiled using public governmental agency data including from the Department of Transportation for the State of Florida’s Highway Safety and Motor Vehicles. According to the Florida Department of Motor Vehicles, for example, in 2009 statewide there were 20,085 alcohol related traffic accidents resulting in 1,004 deaths and 14,130 injuries. Additionally, damages from auto crashes total $150 billion annually because compensation for a car accident, in most cases, includes recovery of medical expenses, property damage, lost wages and lost earning potential, pain and suffering, disfigurement, loss of consortium and emotional distress. Learn more from Alan Sackrin, an expert car accident lawyer. 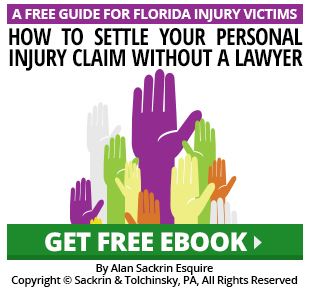 Since 1982, Alan Sackrin has represented clients throughout Florida in recovering monetary damages for car accident injuries. Alan is a Board Certified Civil Trial Expert that strives to maximize the amount of compensation his clients’ receive for their claim. Alan brings a high-level of skill and knowledge to his client’s car accident cases and he offers a free initial consultation. Please fill out the “Talk With An Attorney” form above to ask a question or you can call us at 954-458-8655. We promise to get back to you promptly. Ask now. Copyright © 2019 HallandaleLaw.com. All Rights Reserved.